Plenty of companies make a name for themselves by specializing in certain genres. People may not realize that Sega is responsible for plenty of great rhythm games. It has been musical for years, with plenty of titles that are entirely original properties or giving people an opportunity to tap along with characters or musicians from other iconic series. Let’s look back at some of the many games that can be found either immediately worldwide or easily imported. Let’s Tap is one of those odd games you could only see on the Wii. Players would put a Remote on a box, then tap the box and have the Remote pick up each hit with its accelerometer to play. Its Rhythm Tap minigame had you tapping in time with the music to play. It is available in North America, Europe and Japan. It was briefly available on iOS devices in 2009. 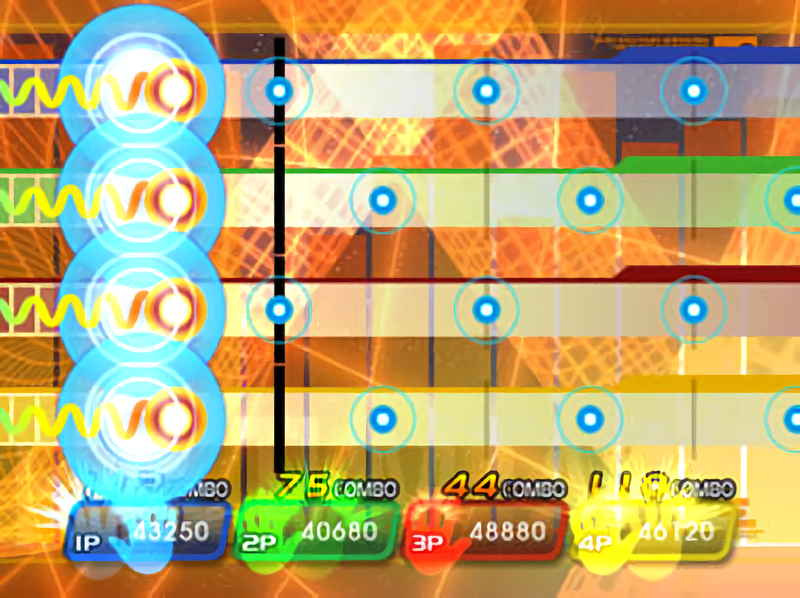 Let’s Tap: Rhythm Tap would let you go through this minigame alone. Paid and free versions of it were available. Oshare Majo: Love and Berry is a Japanese arcade game where players would collect cards that had outfit parts on them, scan them to dress up avatars and then tap a tambourine in time with the characters as they danced. The DS version worked with all of the arcade game’s cards and let you go through a story mode where you dressed up and danced. It was never released outside of Japan. If you consider importing a copy, make sure it includes the peripherals and you pick up some of the cards! 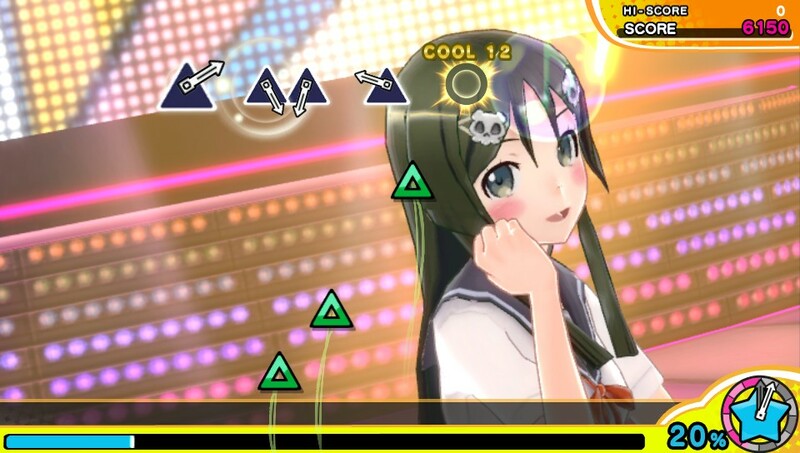 Rhythm Thief & the Emperor’s Treasure is an interesting rhythm game. Players follow Phantom Thief R on his heists, following musical cues to help him evade authorities and steal works of art. Oh, and it also features a resurrected Napoleon who has been returned to life due to his casket being stolen. While the main focus is the story mode, it is possible to play against a friend. It was released in North America, Europe and Japan. It was also released on iOS devices as Rhythm Thief & the Paris Caper and has some notable differences. More songs were added and you could interact with friends. Unfortunately, service ended for this version of the game on September 30, 2015. 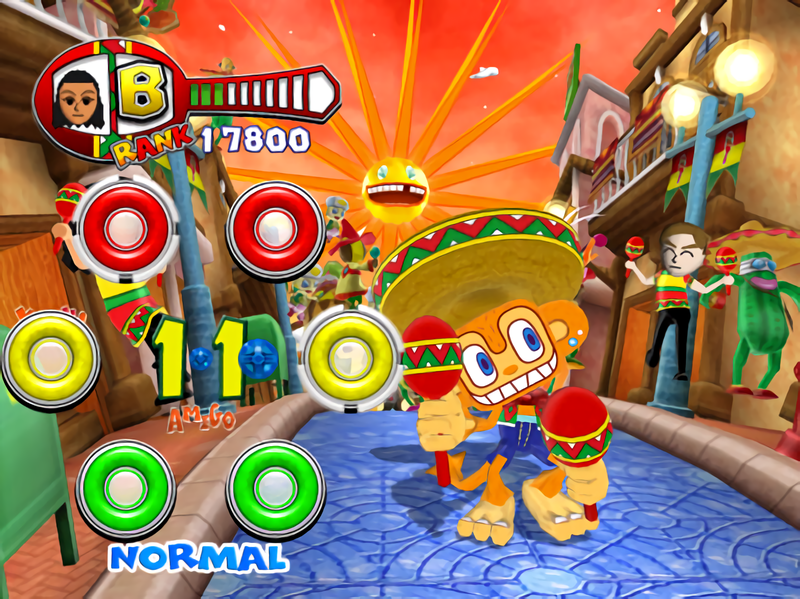 Samba de Amigo is a rhythm game where players shake and pose with maraca controllers in time with Amigo the monkey. It features many Latin American songs, though some standard pop songs are also included. The home port, which was released in North America, Europe and Japan, had Arcade, Challenge, Original and Party modes. Party mode features minigames that might not always be music-dependent. What’s interesting about Samba de Amigo is that there is a second version available in Japan. Samba de Amigo: Ver. 2000 was released after the arcade update. Hustle and Love Love Modes are added, as is Amiga the tambourine-wielding little sister of Amigo. 14 more songs are included. It was also possible to download six more songs, though obviously those have been lost to time. You can also find Samba de Amigo for the Wii in North America, Europe and Japan. People shake the Remote and Nunchuk and hold them at different angles to hit the notes. This version contained the Ver. 2000 content from the game. It is also the only one with a Career mode, has 23 more songs, online leaderboards and the ability to enjoy Sega-themed stages with characters from their game. Three add-on packs with more songs were sold. Space Channel 5 is a music-based puzzle game along the lines of Simon Says. Ulala competes in dance-offs against aliens as she sets hostages free and reports on the events of the invasion. The aliens perform a sequence of sounds, and players have to repeat them back with the correct timing by pressing the corresponding buttons. You can find Space Channel 5 on multiple platforms worldwide. The PlayStation 2 version is nearly identical to the Dreamcast release. The Game Boy Advance version, Space Channel 5: Ulala’s Cosmic Attack, sacrifices visual quality to put it on the handheld. Space Channel 5: Part 2 is very similar to the original game, though the second installment is quite a bit longer. Once again, Ulala is investigating strange aliens, reporting on the current situations and dancing against all sorts of foes to save the day with its “call and answer” gameplay. 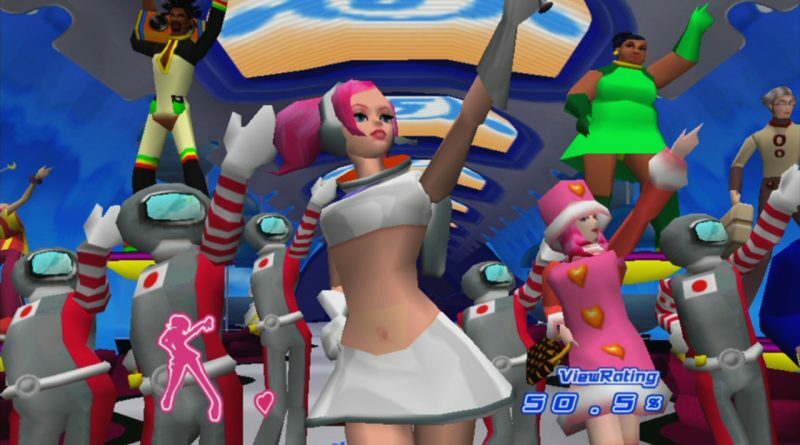 You can play through the campaign cooperatively or go through a 100-stage survival mode called Ulala’s Dancing Show. While the original Dreamcast release never made it out of Japan, it did show up on plenty of other platforms worldwide eventually. Today, you can find it on the PlayStation 2, PlayStation 3, Xbox 360 and PC. You know how most rhythm games from Japan are incredibly import-friendly? Well, Uta Kumi 575 is one of those rare exceptions. This is part of the Project 575 multimedia project that includes the Uta Yomi 575 app that helps you create haiku and tanka and Go! Go! 575 anime series. In Uta Kumi 575, players are picking out lyrics for songs and tapping in time with tunes at the same time. There are 21 tracks in the game, and the Project 575 Vocaloids sing them. Sega’s Hatsune Miku line of games is a whole, huge thing. There are multiple installments and spin-offs in this series, which can be found on the PlayStation Portable, PlayStation Vita, PlayStation 3, PlayStation 4, Nintendo 3DS and even arcades. It is such a large topic, it deserves its own article. Coincidentally, all of the games are covered in detail in this Michibiku guide. K-On! is a manga and anime series about a group of high schoolers in a music club. The series is well known for its music, and Sega’s K-On! Houkago Live!! lets people play through songs from the anime’s first season as the five different members of the band. It is enjoyable whether or not people know about the source material, and it was only released in Japan. If you would prefer to play a HD version of the game on a larger screen, K-On! Houkago Live!! HD Version is available for the PlayStation 3 in Japan. Prepare yourselves, because things are about to get weird. Minimoni Shakatto Tambourine! Da Pyon! is a Japanese game based on the Shakatto Tambourine! rhythm game that appeared in Japanese arcades. It is a lot like Samba de Amigo, only with tambourines. The home version of the game starred the J-Pop Morning Musume subgroup Minimoni. Cartoon versions of the founding members of the group, Mari Yaguchi, Ai Kago, Mika Todd and Nozomi Tsuji perform Minimoni, Morning Musume and Hello! Project songs while players shake tambourine controllers. Love anime series and Hatsune Miku: Project Diva? 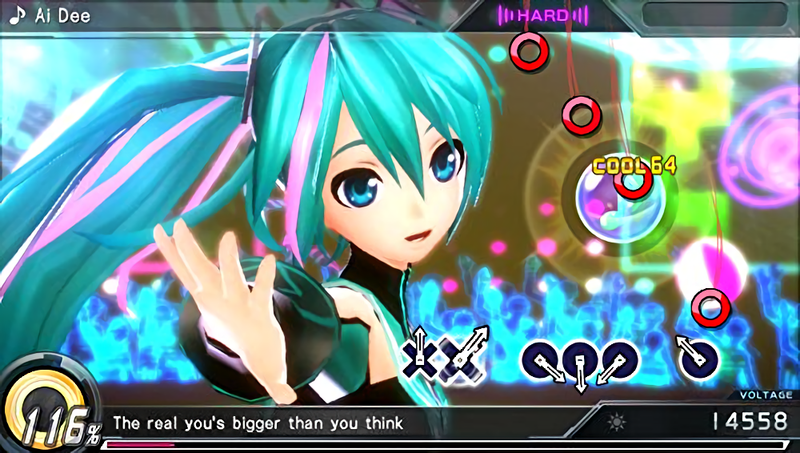 Miracle Girls Festival is the Hatsune Miku: Project Diva engine and gameplay combined with characters from lots of different anime and manga series. This Japan-exclusive game is completely self contained, with the only DLC being extra costumes, and has English menu options making it easier to play. Puyo Puyo is a fantastic puzzle game. Puyo Puyo Da! is an unusual puzzle game with an input method that is not all that dissimilar from titles like Parappa the Rapper or Bust a Groove. Puyos appear in various directions on the bottom screen, with the player and opponent “popping” them by pressing the correct buttons. Even though it is a Japan-exclusive, there is tons of English here and it is very easy to play. This educational Pico game’s goal was to help kids learn about music by playing through minigames with Sonic the Hedgehog’s Tails. The Travels with Tails minigame is most similar to standard rhythm games, as the music changes as Tails goes though the Green Hill Zone. It also helps kids create songs. This educational software was released in North America and Japan.